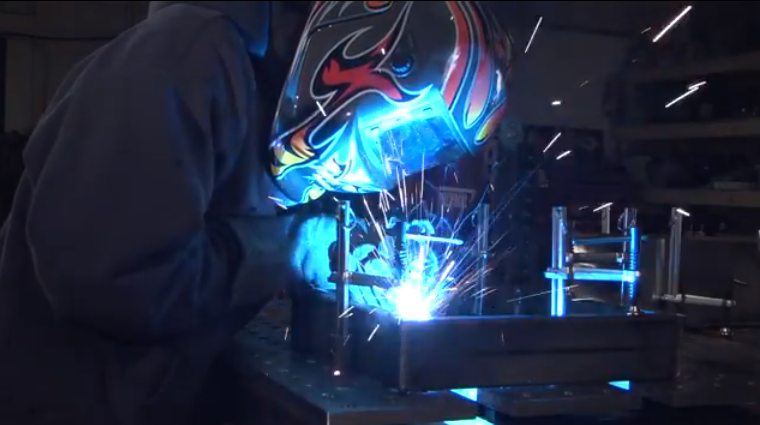 When the GMA welding arc becomes erratic, should the operator adjust the power source? Not necessarily. 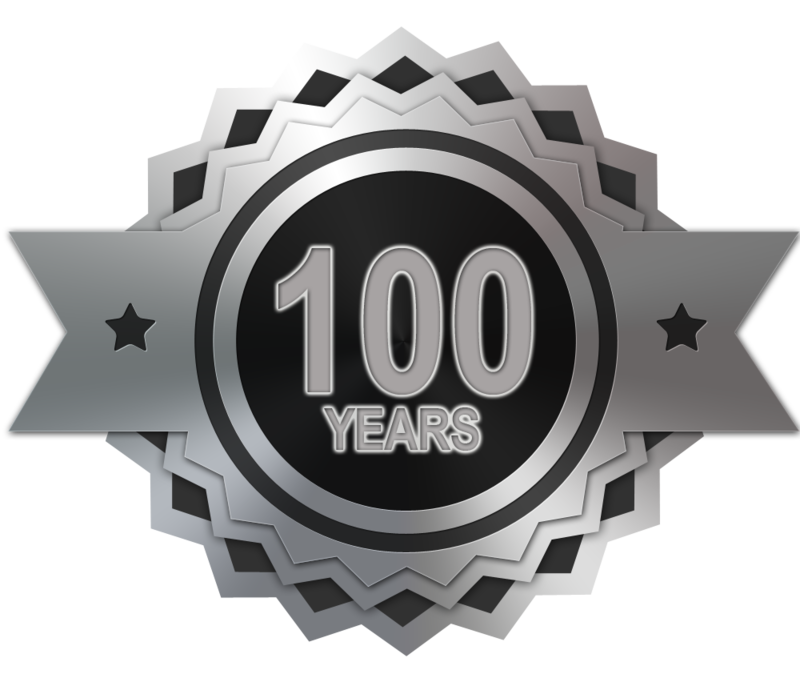 If the voltage and wire feed speed values currently used previously worked well, and if the correct shielding gas and flow rates have been selected, worn components are likely at the root of the problem. Liners, tips and other gun components need routine inspection to ensure consistent GMAW performance. 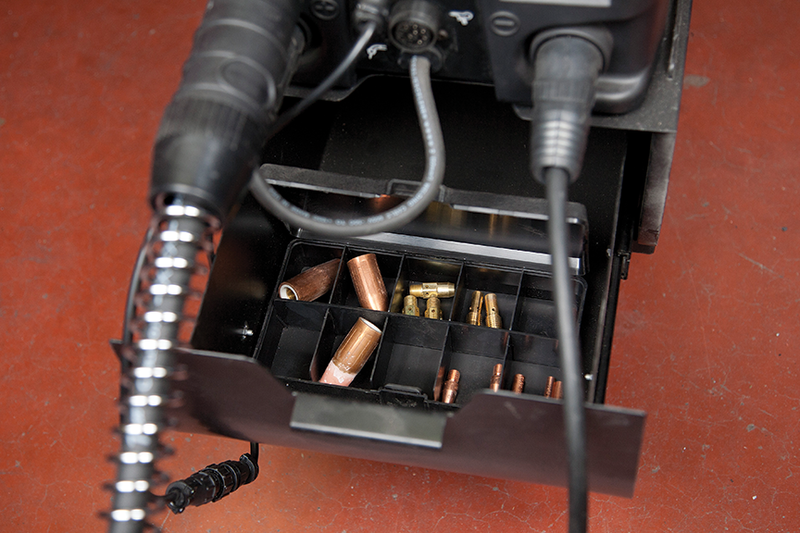 Good maintenance also prevents rework, eliminates unplanned downtime and maximizes gun life. 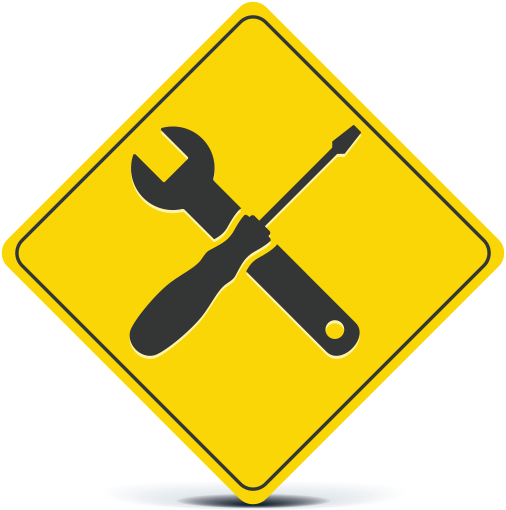 The following maintenance practices apply to most brands of guns. Before working on a gun, review the operator’s manual and follow appropriate safety precautions to prevent burns or electric shock. Erratic GMA performance occurs when excessive friction causes the electrode stick or slip. When wire feed speed slows, yet voltage remains constant, the electrode will melt back from the weld puddle more quickly and produce an erratic arc. One of the most common culprits is a gun liner that has become clogged with wire shavings and other particulates. Operators everywhere should get in the habit of blowing out the liner with compressed air when installing a new spool of wire. 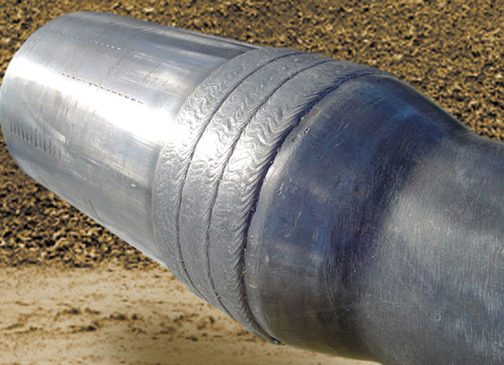 For GMAW systems with a high arc-on time, operators might consider blowing out the liner more frequently (experience will dictate the need). How rapidly a liner clogs varies greatly. Over-tensioning the drive rolls on flux cored electrodes can clog a liner quickly. Electrodes exposed to the elements, especially humidity and salt air, can quickly clog a liner, as can a poor quality electrode. Different electrode manufacturers use different drawing compounds and substances to coat and finish the electrode. As a result, some clog liners faster than others — sometimes in half a spool or less. To keep liners cleaner longer, consider installing cleaning pads during the next scheduled maintenance. Use good cleaning pads and secure them properly, otherwise bits of the pad may end up clogging the liner. For a clearer indication of particulate volume inside the gun liner, place a sheet of paper or cardboard under the gun to provide better contrast. If the arc is erratic and blowing out the liner reveals only small amounts of particulate, the liner is worn and should be replaced. For example, in the Tweco test lab, using a leading brand of 1/16-in. diameter ER70 S-6 electrode, applying these guidelines, we most frequently replace the liner after two 60-lb. spools. To replace a liner, remove the old liner, lay the new liner next to it on the floor and cut the new liner to the exact same length. A liner that is too short can interfere with feeding performance and lead to an erratic arc. Further, if a void exists between the liner and the diffuser, it could create a spot that traps the wire and leads to a bird nest. 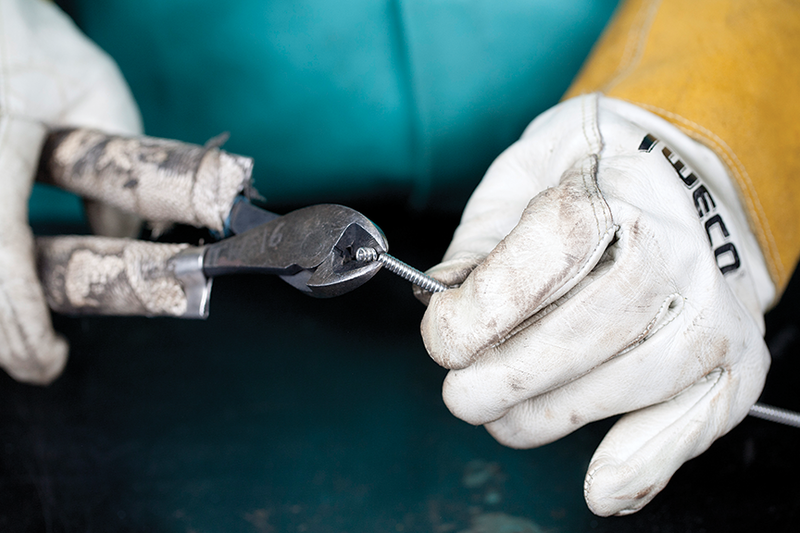 When trimming the new liner, use sharp, premium quality side cutters. To produce a clean cut, place the cup side of cutters against the liner and orient the cutters so that they cut against the curl of the liner. Cutting with the curl tends to produce a burr on the inside edge of the liner, where it could drag against the wire. Never use dull cutters or whelpers to trim a liner. Rather than cleanly cut through the tough piano wire used for liners, they will most likely deform the liner and/or spread out the coils. Never use a cutting disc (e.g., RotoZip® or similar tool), as it can leave a sharp edge that drags against the electrode and creates shavings. Should the cut liner have a burr, use a hand file to remove it. Otherwise, discard it and try again. As with any mechanical system, don’t use excessive force when installing a new liner. If the liner hangs up, twist it in a counter clockwise direction so as not to uncoil the liner. If the liner doesn’t fit, the liner could be too long (in which case, trim it) or it could be bent. If the liner is bent, discard it, as a bent liner can promote erratic feeding. Some gun models use small screws to keep the liner from twisting. Do not remove or discard those screws. First, if the liner twists independently from the gun cable, it can increase or decrease the length of liner relative to the length of the gun cable. Second, an absent screw may permit shielding gas to escape through the hole instead of coming out the diffuser, which may lead to insufficient gas coverage or excessive gas flow to compensate for lost gas. The GMA process, especially short circuit transfer, inherently produces spatter. 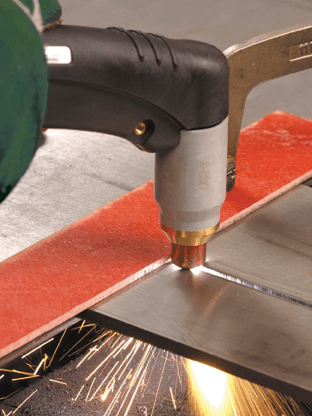 A percentage of operators inherently feel compelled to knock spatter off by banging the gun on the welding table or work piece. Banging the gun doesn’t do much to remove spatter, but it’s a great way to loosen component connections at the front of the gun. Don’t bang the gun! apart from everybody else,” he says (view video). 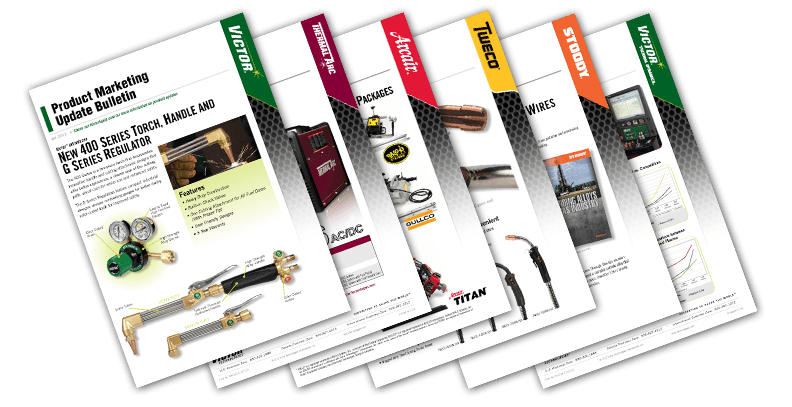 These guns now come standard on all 3-in-1 welders, and they feature Tweco’s new Velocity MIG consumables platform. 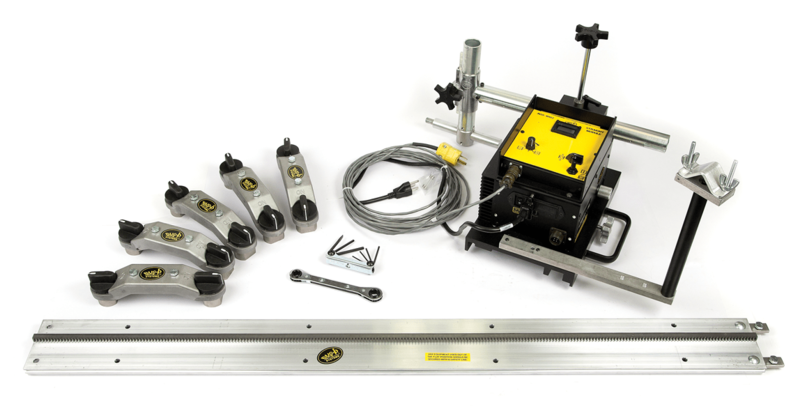 Check Out What Victor Technologies is Featuring at Fabtech! 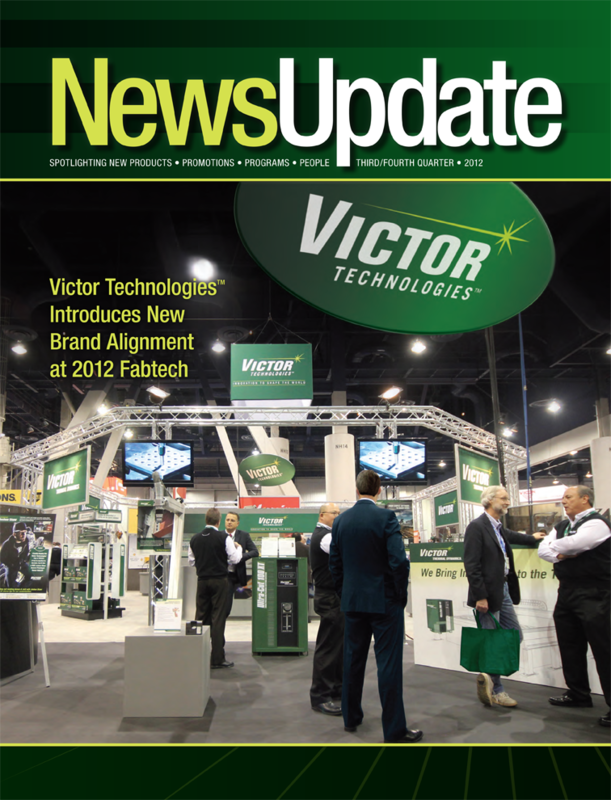 Fabtech 2012 is now into Day 2 and there have been exciting things happening at the Victor Technologies booth! Visitors at the industry’s premier event are getting a sneak peek at examples of the new branding that includes updated brand marks and new product packaging. Additionally, Victor Technologies is demonstrating our commitment to design and manufacture innovative new products by showcasing the following solutions. 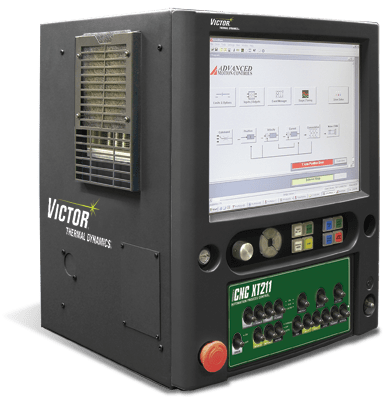 The Victor Thermal Dynamics iCNC XT controller brings intelligence to the cutting table in automated plasma cutting. 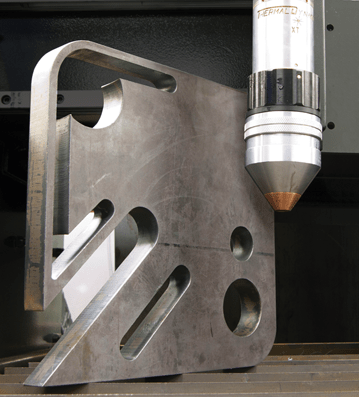 The “intelligence” inside the iCNC XT enables the end user to optimize cut quality and speed at a lower cost per cut, regardless of their plasma cutting & programming experience. 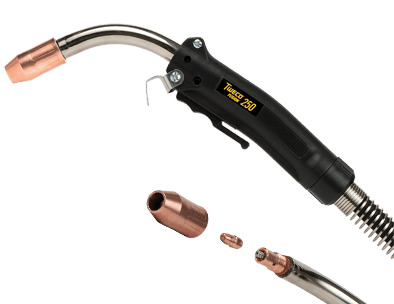 The Victor 400 SeriesOxy-fuel TorchesThe 400 Series is a two-piece torch that incorporates innovative handle and cutting attachment designs that offer better ergonomics, a clearer view of the cutting path, visual cues for easier use and enhanced safety. 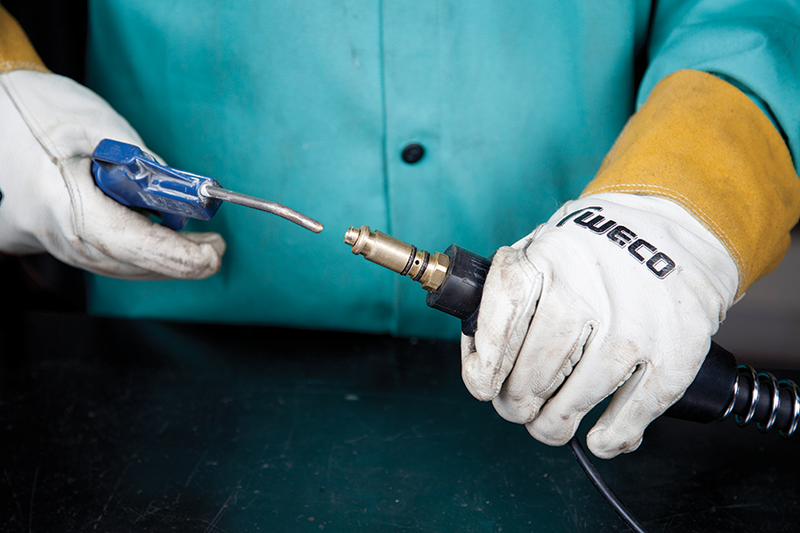 Integrated into the new Tweco Fusion series of light-duty MIG guns, Velocity non-threaded “drop-in” style consumables provide smoother arc characteristics, reduce weld spatter and make it easier for the operator to control the arc. 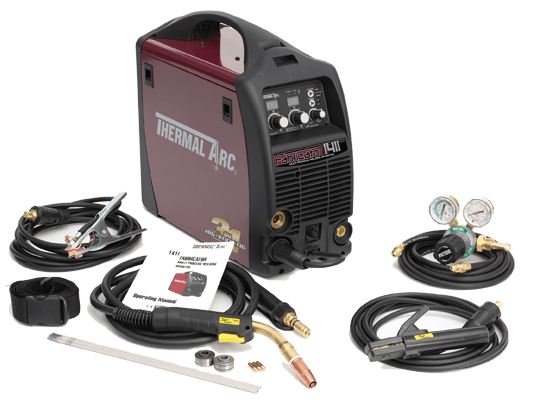 Victor Technologies will also be completing the Thermal Arc 3-in-1 Series with the introduction of the Fabricator 141i MIG-Stick-TIG welder. 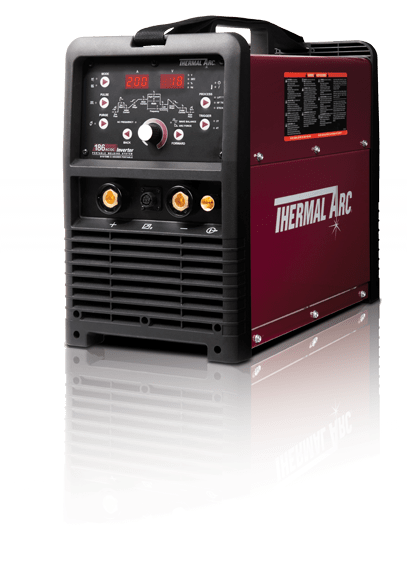 The Fabricator 141i is the first multi-process welder that runs off 115V household current. 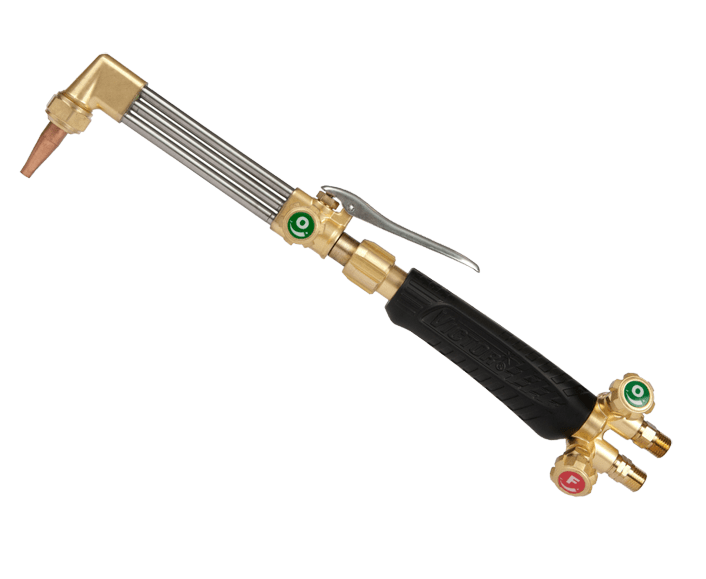 It is designed for DIY and home hobby use, as well as other light welding projects in motorsports, auto repair, farm/ranch, metal art and maintenance applications. New Applications to Meet Your Needs. 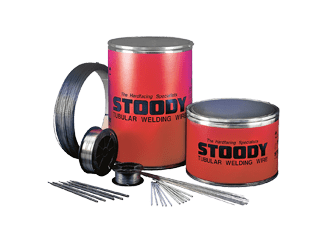 The Stoody hardbanding product family features a full line of casing friendly, crack free and cost effective welding wires. Each wire has been specially engineered for exceptional wear resistance while providing superior weldability and deposition rates compared to other hardbanding wires. With Fearnley Proctor NS-1, Level 2 certification the HB-56 and HB-62 wires are not only durable, but also certified for casing-friendly hardbanding. 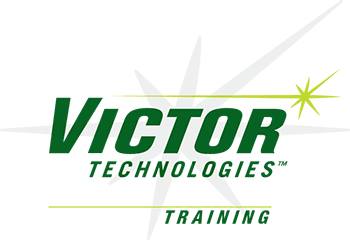 If you can’t make it to Fabtech, you can still stay up to date with all the latest product announcements and demonstrations by visiting our “Victor Technologies on the Road Blog”.